I'm eating around the world without leaving London and this week it's food from the Caribbean at Soul Food. Soul Food serves just what it implies, food for the soul. You can find them at Borough Market at the bit next to the church where all the other ready to eat stalls are located. Its owner, Patrick Williams, was trained by Marco Pierre White no less and has even written a book about Caribbean food, called the Caribbean Cook. With a background that impressive, the food must be good. I was invited to try their food, so I headed to Borough Market on a Saturday. There was a queue when I got there, so I had a good look at how everything was prepared. 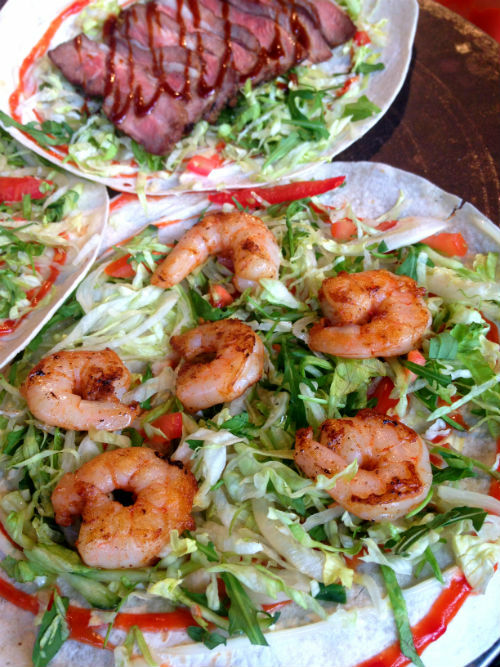 Soul Food mainly serves wraps filled with either prawns, BBQ lamb, grilled rump steak sprinkled with coriander and spring onions. They also do boxed food which includes curry goat with rice and peas, a Caribbean favourite. Or you can go for a Trinidadian specialty called chicken pelau. They're dishes that were inspired by African/Caribbean cooking methods, brought down from generation to generation. Everything is made fresh on the spot, so it's cooked while you wait. I went for the prawn wrap, which was a juicy affair. It was so good, I couldn't help licking my fingers when I was done. 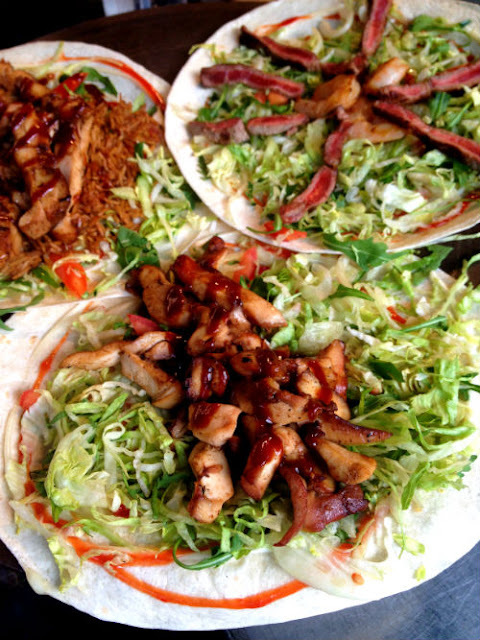 If you want to get your hands on one of these wraps, you can find Soul Food at Borough Market every weekend. The wraps look amazing and definitely worth checking out in your lunch break! Wow Caribbean food is one of my favourites - I need to try this pronto! It all looks so delicious. I really liked it. It is really worth a try. They were really good. Or at least the one that I tried was really yummy.